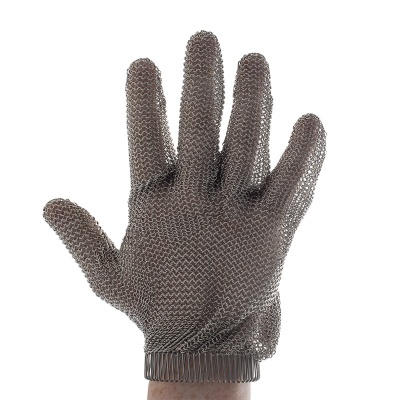 Specifically designed for use within the food industry, the Honeywell Chainexium Chainmail Oyster Glove 2533003-R0302 uses a steel mesh to provide exceptional puncture and cut protection. 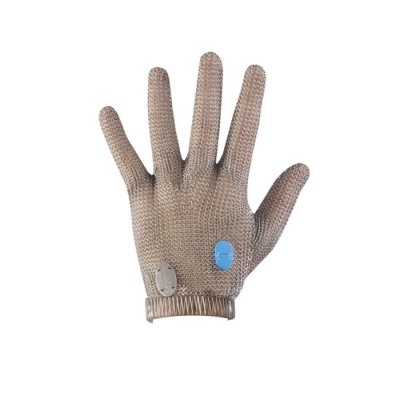 It is fitted with a self-adjusting spring that ensures a secure fit, while the flexibility and sensitivity of the steel means that the glove is perfect during tactile, tricky applications such as oyster shucking. The Chainexium Chainmail Glove is available in five sizes that should suit the hands of most users. Please measure the total length of your hand and match up to the table below to ensure a safe and secure fit. Please note that the Chainexium glove should be scrubbed vigorously at least once a day with hot soapy water or in a mixture of hot water and detergent.